It has been the long term objective of the Village hall Committee to provide greater opportunities for use of the Village Hall. Significant improvements have already been made. 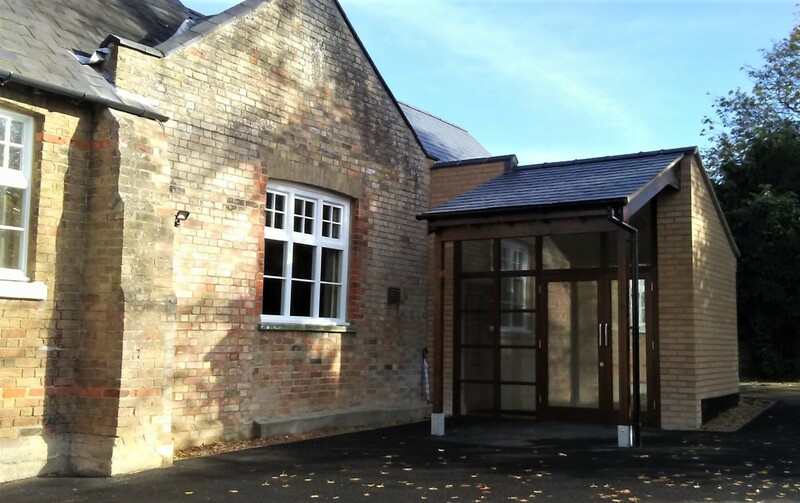 In Phase One of the improvement project we were able to build a brand new entrance and toilet block with a corridor linking this to the the main hall (which was also extensively refurbished). Click on the phase one gallery to see some pictures of the improvements already made. We have been fundraising for the Completion Phase and you can see from our updated target thermometer that we have made fantastic progress. 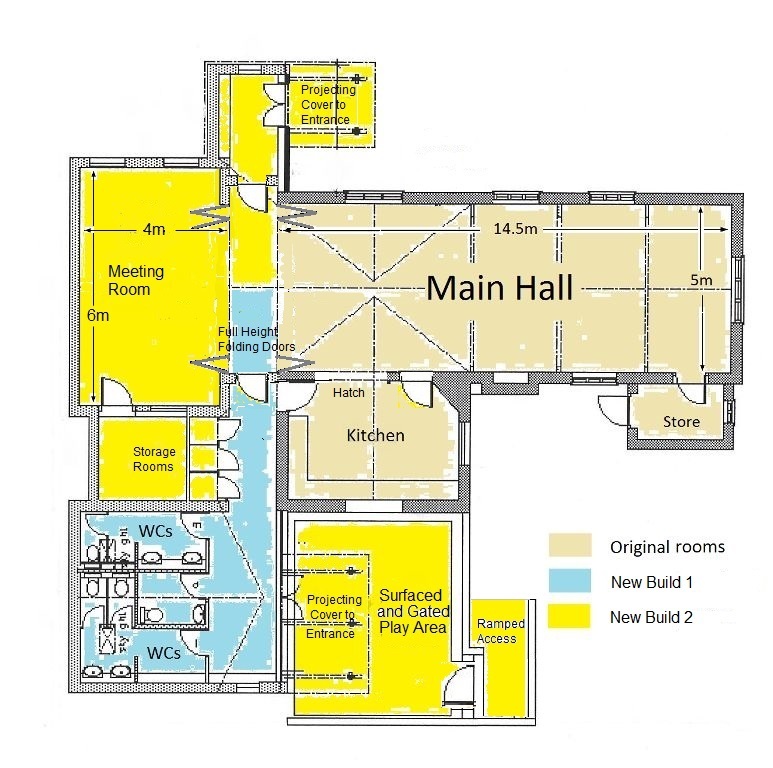 In the Completion Phase we have demolished the rooms at the back of the main hall (the old toilets and dilapidated storage rooms) and then created a larger storage space; a new meeting space; and a larger entrance way with its own lobby. Greater flexibility of use is now enabled by full height folding partitions between the main hall, the lobby, and the new meeting space. This will give users the opportunity to hire space appropriate to their needs and will enable two groups of users at the same time. 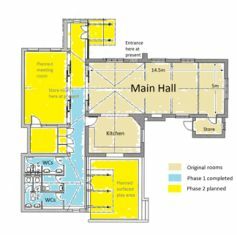 As a combined space the capacity of the hall will now be greater and more suitable for wedding receptions. Click on the building layout to see a larger version of the plans and click on our target thermometer to see our fantastic fundraising progress. 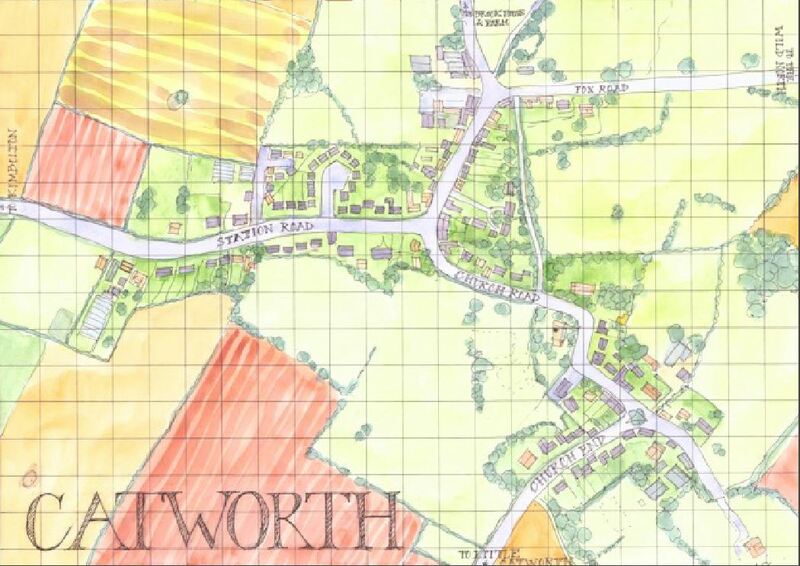 This project has been a significant fundraising objective for the Village hall Committee. 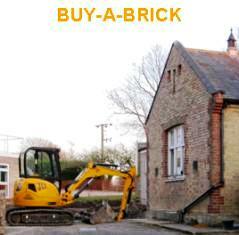 The Committee has organised many fundraising activities each year but you can still help directly by joining our BUY-A-BRICK CLUB. If you wish to see details and make a donation then click here to download the donation form. Send the completed form with your cheque to The Treasurer, Village Hall, c/o The Pyghtles, Church Road, Catworth, Cambs, PE28 0PA. If you are a UK tax payer we may be able to claim tax on the donation. We will also be creating a roll of honour with the names of all benefactors and we would hope you will want to be included too. Fundraising Postcards ... as featured on BBC Radio 4's Broadcasting House! Our specially designed fundraising postcards are 40p, three for £1, ten for £3. They are available from The Racehorse, any member of the Village Hall Committee and at all Village Hall functions. Click here to see both sides of the card.